After the Rugby yesterday, we should be celebrating St Brian's Day, but let's talk about St Patrick. How very 'Irish' of us to have a patron saint who wasn’t even, well, Irish! Maybe he was chosen because we owe him. You see, we ... um... kinda... um... kidnapped the boy Patrick back in the 5th century from our neighbours, the Romans, next door in Wales. Legend has it, we enslaved the poor lad for seven years in miserable conditions. We didn’t even have the good grace to give him back. He escaped in the end. Perhaps suffering from Stockholm Syndrome, Patrick returned and – according to myth – spent 30 years preaching and rooting out snakes (aka pagans) – although it is entirely possible that legend has him confused with another Roman who was also wandering the island at around the same time trying to convert us heathen folk into god-fearing Christians. Moving swiftly on, by 15 centuries or so, and things have changed quite a bit. We no longer have to kidnap people to bring them to our shores. They come quite willingly. They come for the renowned cead mile failte – ‘a hundred thousand welcomes’ – it may have slipped to ‘ninety-nine thousand welcomes’ over the Celtic tiger years but you’ll still find most of the 5 million or so natives more than friendly and helpful. People come for the culture, the music, the literature (every last one of us is a writer – it’s obligatory). They may not come specifically for the Guinness, however (despite Diageo’s protests to the contrary) Guinness definitely tastes better in Ireland than anywhere else, and even then there are some places which can pull a better pint than others. People come for the food – for the cold, clear seas that produce wonderful seafood; for the clean rivers that surrender salmon and trout to patient souls; for rolling countryside (available in at least forty shades of green) that yields gold ingots of outstanding butter, and superb lamb and beef. The food traditionally associated with Patrick’s Day isn’t particularly lavish – it’s simple, filling, peasant grub which is exactly what you’ll need to shore you up if you are planning to attend a parade. If however, like me, you are planning a lazy day punctuated with bouts of reclining in front of the telly, here’s a quick and easy dish that uses butter instead of oil in a mayonnaise-style sauce - 'Irelandaise'. This recipe makes about 8 times more sauce than you need but that's good news as it is great on steamed veg, baked potatoes, grilled chops etc. First make the ‘Irelandaise’: Place the egg yolk in a bowl and add the mustard and salt. Whisk together until the mixture thickens slightly. An electric whisk is best for this. 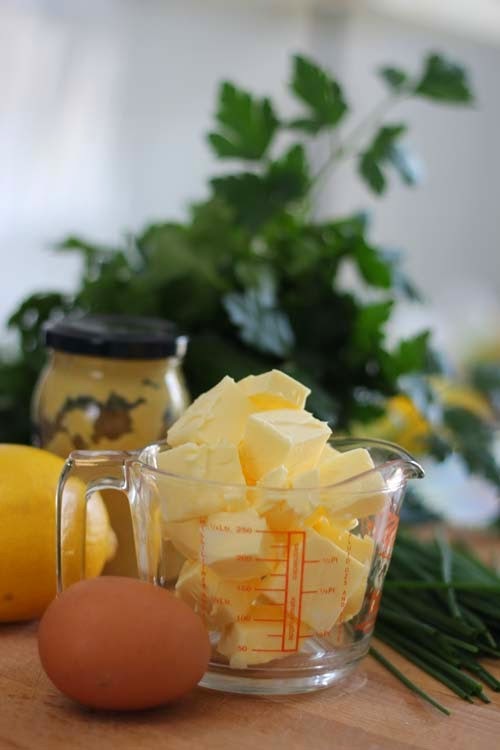 Trickle about a teaspoon of melted butter into the mixture and whisk until it has completely disappeared. If you add the butter too fast the mixture will split. (See the fix at the end of this recipe to remedy this if necessary.) 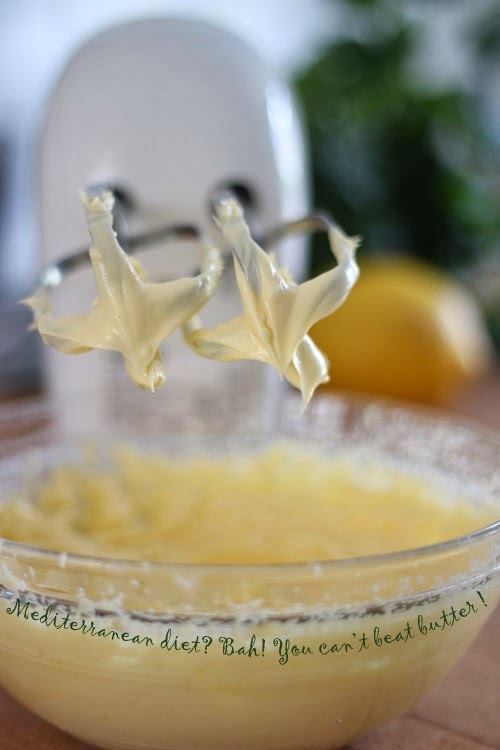 Repeat this trickling and whisking process until you have used about a third of the butter, allowing it to disappear into the mixture before adding the next drizzle. The mixture should start to thicken. Slowly and steadily, trickle another third of the butter into the mixture, whisking all the time. The sauce should be thick and creamy by now. Now add the lemon juice, which will thin it out a little, and whisk until combined before whisking in the remaining butter at a slow trickle. Stir in the herbs and capers. Cover until required. At room temperature this will remain soft, and similar in texture to mayo. In the fridge, it will harden. Either way, it goes beautifully with grilled fish, and is pretty good used for garlic bread, on baked potatoes, on steamed vegetables. For the grilled salmon: lightly oil the fish and season it with salt and black pepper. Place on a medium-hot grill pan (or frying pan). Cook for about 3 minutes, skin-side down. You'll see the colour change as the fish cooks. When it has crept about half-way up the fish, gently turn it and finish cooking on the other side for a further 3 or so minutes, or until the flesh is not longer translucent. The crispy skin is delicious too. Serve with vegetables and a swirl of ‘Irelandaise’. If your ‘Irelandaise’ splits (or curdles) simply take a fresh bowl, add a new egg yolk, and slowly add the curdled mixture, a little at a time, beating between additions until the curdled mix is incorporated. I loved every word of this post. Ingots of gold butter - I want to see those one day. Love this post - the history, the myths, the landscape and especially the Irelandaise. Happy St. Pat's Day. And I love the Irelandaise!! 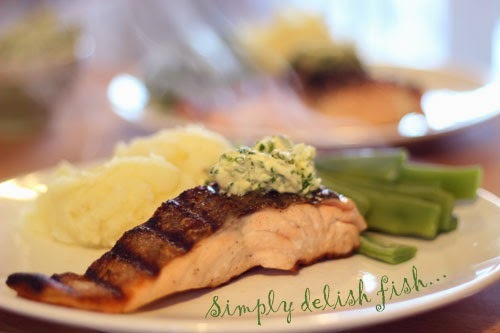 What a gorgeous and delicious way to serve salmon. 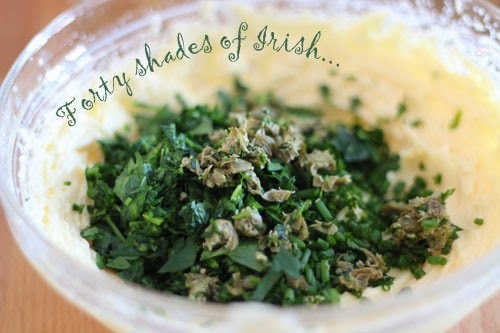 Irelandaise will have to be on my menu soon :) Happy St. Patrick's Day, my friend!!! Dear Hester, I so enjoyed reading through your post - I always do, as I love your writing style, although I must admit that it does make me feel a tad "inadequate" considering my poor Germanic English...but be that as it may, I so wish I could travel to Ireland soon, I have been wanting to go visit for the longest time - I looked up "Glendalough" - it does look breathtakingly beautiful indeed! Onto your wonderful "Irlandaise" - what a fun and delicious looking recipe with such a catchy name! Love it too! I believe I got a really good start to my Tuesday!